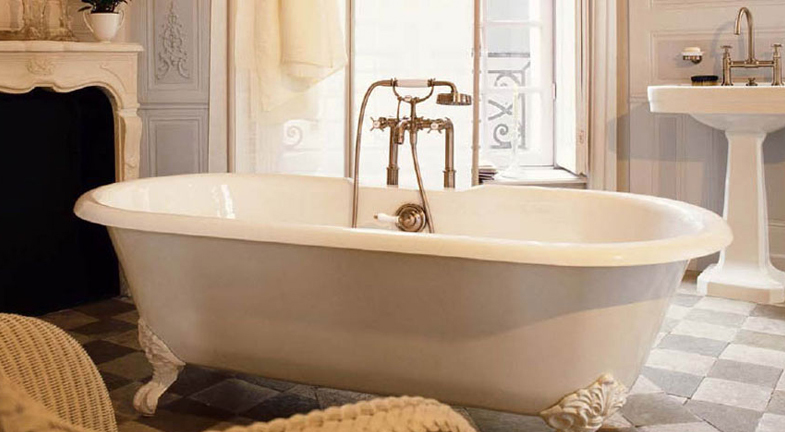 Vintage bathrooms are popular because of their stylish appeal and classic look. 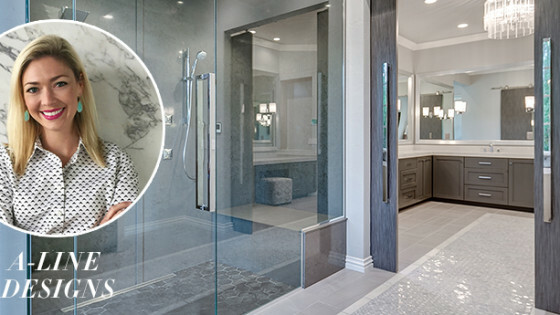 While vintage design pays homage to the later era, it’s an easy style to incorporate in today’s 21st century home. 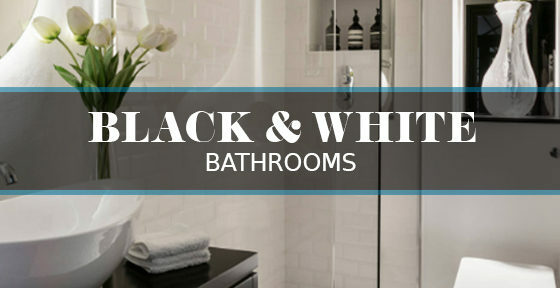 Let’s take a look at some essential vintage bathroom elements. Chandeliers add an elegant and charming touch to any space. 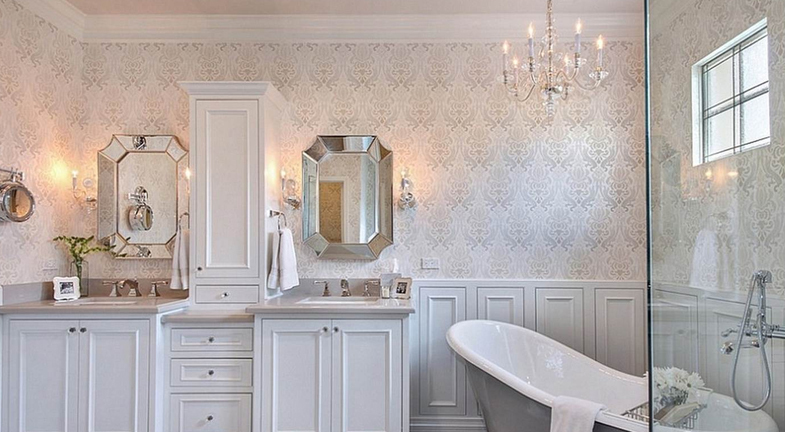 Choose a decorative crystal chandelier to add some wow factor and romance to your bathroom. 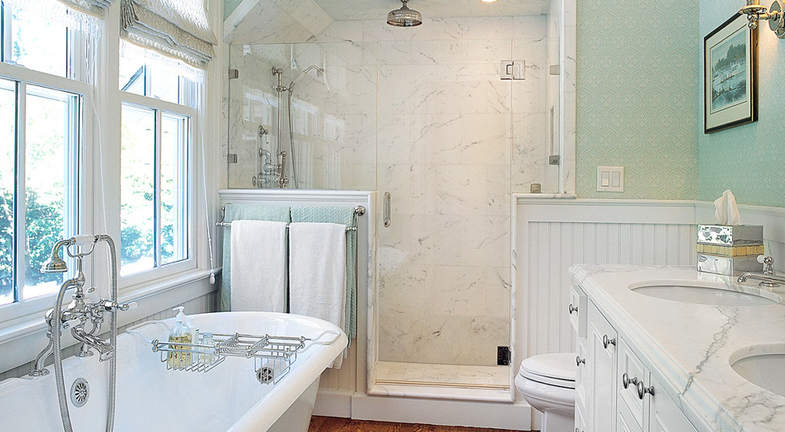 Subway tiles are a popular choice these days in a vintage bathroom. Except there is one element that homeowners are overlooking; cove molding. 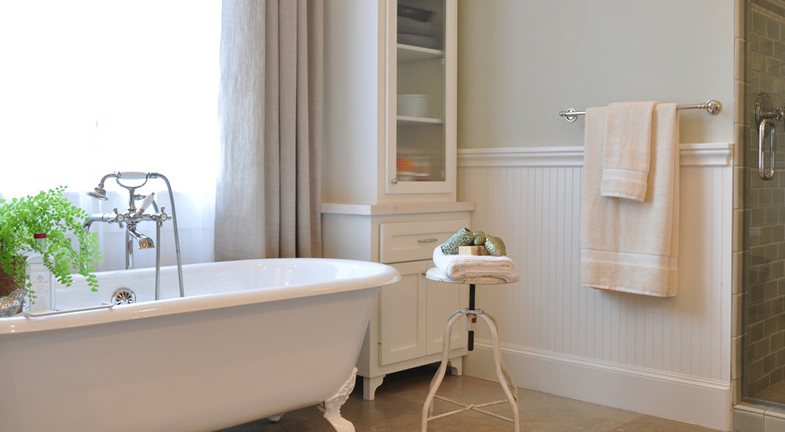 The finishing touch of cove molding will give your bath an authentic vintage look. 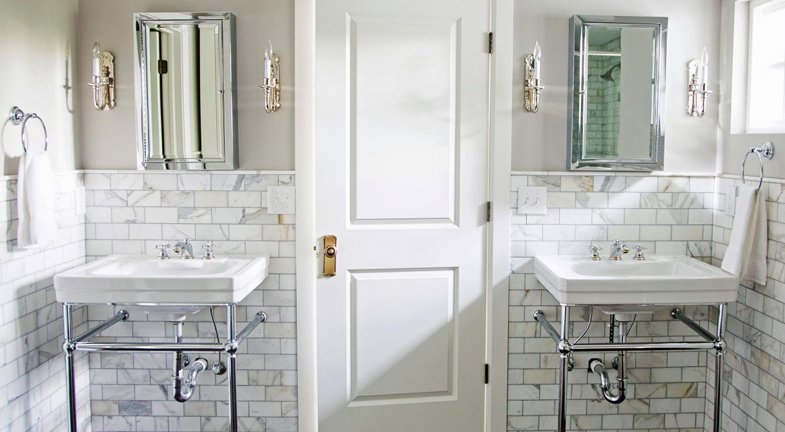 If you look back on older vintage bathrooms, most of them had a cove molding trim along the bottom, framing in the subway tiles. This trim is essential to bring authenticity into your space. Wainscot is making a comeback in the vintage style home. Adding a half wall of this white wood paneling is a simple addition that will make all the difference. 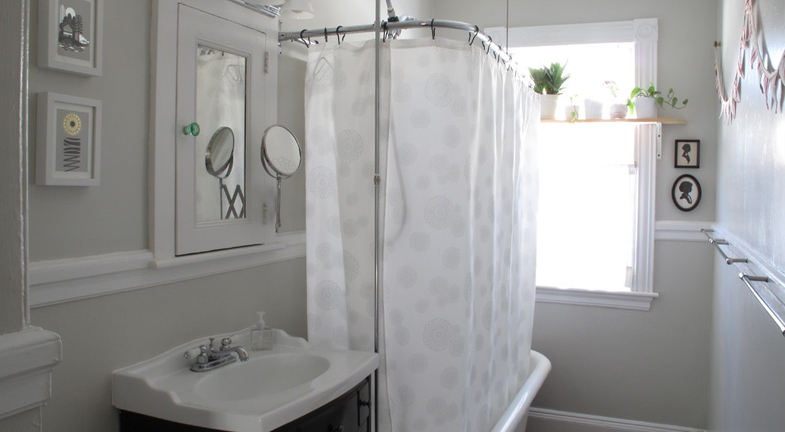 Shower curtain rings are great for free standing and claw foot tubs. It gives your bathtub a comfy feel with the draped canopy, while adding the privacy that you need. Console sinks became popular in the 20’s when bathroom sanitation gained importance (good thing). This style sink is the epitome of vintage while adding a bit of an industrial flare with the exposed plumbing. 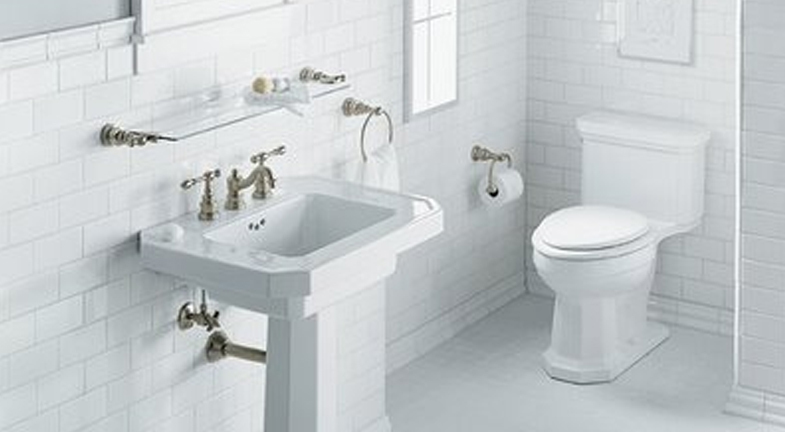 You can’t go wrong with this decorative China Series sink by Whitehaus Collection. 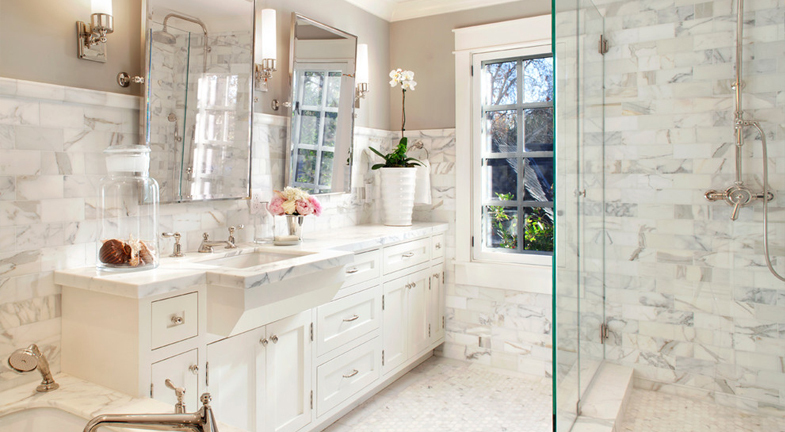 Carrara marble is an extremely sought after stone that goes exceptionally well in a vintage style bathroom. 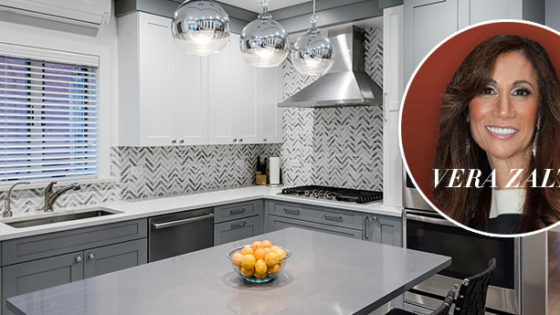 The grey and white combination and unique veins in this stone look gorgeous as a countertop, floor tile or even a backsplash. Pull your décor vision together with vintage accents. Go for something a bit different like a double towel bar and an antique looking toilet paper holder. These small details will make all the difference. Ceramic handle faucets were a very popular choice in the 20’s. 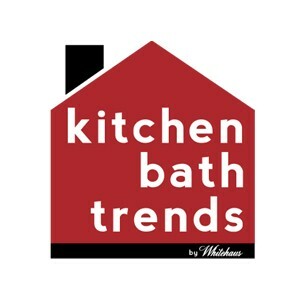 Holding their popularity in the vintage style bathroom, ceramic handle faucets are another must-have. Choose a polished chrome finish like this Fountainhaus faucet from Whitehaus Collection for an updated vintage look. For more visual inspiration, take a look at our Very Vintage Pinterest board!